When it comes to investing, gold is the most popular way of investing. Probably it is the advantage of portability, the global value and many more that makes it popular. There are many ways of investing in Gold. What factors in whatever way you use to invest in gold is the amount of money you are ready to use, the risk you are ready to face, and the duration of time that you as the investor will hold onto the gold. Before investing in gold there are things that you need to learn. If you are a novice, you got to first sit down and learn the basic. In the trading world commodities, stock get sold and bought within a split of second. Get to learn all ways you can invest. Which is riskier than the other? Learn the forms of Gold you can invest in. This will help you not to get losses before you even begin. 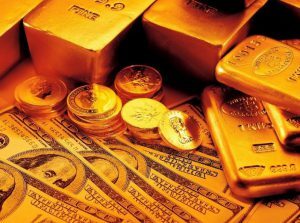 You got to know that gold in the market come in 2 forms, this include the real gold bar, and it can also be paper asset. If you have never been in the gold stock exchange it is very normal to think gold is the physical gold only. If you looking for investment for the near future it is highly recommended you get the physical gold. Never buy all gold at once. Never! You should acquire the gold slowly over a period of time. It lowers the risk as well as the cost. If you are a good timer you can get the gold at good price, this is because the gold price fluctuates. When it comes to gold bar one can sell or buy in different weight. Making it affordable to many. You can decide to buy a certain amount at an interval. When it comes to the market where you buy gold it can either be a professional market or a black market. If bought from the black market, it is very hard to resell the gold if need be. This is because of the hallmark. Hence it is advisable to buy gold from the renowned sellers. This gives you a guarantee you can sell it if you want and you don’t incur loss. Gold is a precious metal that many have not seen it. Whether we like it or not, if you have gold chances are high you are vulnerable to theft. Hence it is very important to think about where to place your gold for store. It should be safe and have maximum security. You can store your gold in a bullion depository company or a bank safe. If you need to have gold in your home. Have very few and put them safe on a safe box which one does not know of its existence. Duration matters in investing. Short term in gold stock exchange can have many ups and downs. Long term can be the best if you want to trade with gold. This is because there is high chance that you will actually earn more profits if you sell.